What an awesome group of recipes. I’ve pinned them for later. Thanks so much for sharing. You couldn’t have posted on a better day! Its grocery day and I am adding these to my shopping list!! Wow you are so organized! What a great way to do so many recipes! These are awesome! I will so try these. Thanks for linking up to the Bloggers Brags Pinterest Party! I’ve pinned your post to the Bloggers Brags Pinterest Board and another board of mine! Thank you for this. Can you please post what goes with it, i.e. rice or noodles, etc. You can serve them with rice or noodles or potatoes or whatever side dishes you like! How much chicken in each bag? Amy, I used 3-5 chicken breasts per bag but you can vary it depending on the size of your family. I also made some with chicken thighs and when I used thighs, I put 10-12 per bag. How many pounds (about) does this translate to? I have chicken breasts that are 1 pound a breast. I *usually* do a pound per recipe, but based on seasoning and such, I wanted to see what you use. How many servings are these for? When you speak of breasts do you mean 3-5 full breasts or 3-5 single breasts? I used single breasts but they were fairly large. Because of the nature of the recipes, the amount of chicken can be varied depending on the size of your family. Obviously, one chicken breast would leave too much sauce and ten would likely not have enough sauce, but within reason, there is room to adapt. Hope that helps. I’d love to see what these recipes look like once cooked! Where do you find the gluten-free onion soup mix???!? What brand is it?? These all look awesome, btw…lol. I got so distracted by the gf dry onion soup mix I forgot to address the reason for your post! HA! Michelle, there is a bulk bin store in our community that sells the MSG-free, gluten-free dry onion soup mix, but I was able to track down the name of one that is available at Amazon and added a link into the post to make it easier for people who may not be able to find it locally. The brand is Chef Swagger’s Kitchen. Publix store brand onion soup mix is also GF. Typically, the store brand of onion soup mix is GF, but always reaad the label. Companies change their recipes from time to time. Are you doubling the recipe? I’m a family of 4 but my little ones will eat a half of a chicken breast each so I was thinking 3-4 breasts in each bag. So I would need 20-25 chicken breasts to make 5 meals or 40-45 breasts to make ten? Maybe I’m confused lol! Yes, to make 10 meals, I am doubling each of the 5 recipes. 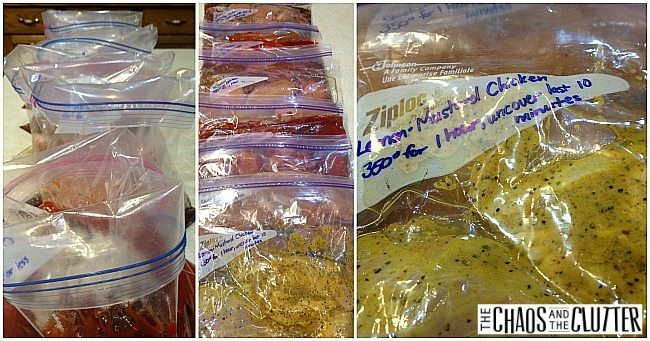 If you used 3-4 breasts in each bag, you would need 40-45 to make 10. It’s great for when you find a really good sale on chicken! Another option is to put a couple of extras in each bag to provide leftovers for you and your husband for lunch the next day. One less meal to worry about what to eat. 🙂 I can even envision using the Lemon and Garlic chicken the next day in a salad to add a little variety. Which one of these recipes do you think would be best with boneless chicken thighs? Thanks! Chicken Hurry is my favourite of these recipes. I will be publishing a follow up post with 5 more chicken dump recipes later this week and that one will have another one that is especially good when using chicken thighs. Thanks for the idea! Sounds like my mom, just put all the ingredients together and throw in the oven at 350. I was just wondering how people these meals feed. We are a family of five and often feed the Missionaries from our church which can add an additional 2-4 people sometimes. You may have to adjust the chicken portions to accommodate for a larger crowd. Our girls eat less than one chicken breast each but our boys eat one each. There is enough sauce in each recipe that even if you added 7 chicken breasts, the recipe would still work. I hope that helps. If you felt that you needed to add 10 chicken breasts to feed your family and guests, I would suggest doubling the other ingredients. Do you have to thaw them before cooking or are you putting them in the crockpot/oven frozen? No problem! Hope they work out well for you! Can you place them in frozen and double the cook time? I’m also curious, if I had more time, and just put the contents into the crock pot fully frozen then added more time, do you have a recommendation of how much more time to add? I put them in my crockpot frozen on low in the morning, when I get home they are perfectly done. Thanks for the recipes! Soya sauce is made from soy beans and can be found in the Asian food aisle in most grocery stores. Soya sauce is known to some of us as simply “Soy Sauce”. La Choy is one brand of soy sauce. I was wondering if you meant soy sauce or if you actually meant soya sauce. Soya sauce is sweeter than soy sauce so I wanted to verify if possible. Thank you. Just a quick Question, when you say pop in the oven at 350 do you mean Celsius or Fahrenheit? I would guess 350 is Fahrenheit because 350 Celsius would be wayyy too hot and 350 F is standard baking temp for most things. This is awesome! I have 4 kids at home and three of them teenagers. This would make things easy to cook when I am having a busy day where the kids have appts and such I can turn it on after the kids leave and will be done at dinner time in the crock pot. One question though what size pot would you need for this because I would have to cook double batches???? I adjust recipes to fit with my taste and diet. Fruit is healthy and it seems to me a few tablespoons of ketchup or honey with 6 chicken breasts is not excessive. Lots of sugar in your meals (ketchup, orange, raisin, pineapple…). Not so healthy. Severine, It’s true that there is sugar in some of the ingredients but these meals obviously aren’t designed for people who have chosen to cut sugar out of their diets. Consider a family where the mom often goes through the drive-thru of a fast food restaurant because she just doesn’t have time to cook supper. If she makes these meals instead and serves them with a salad or vegetables on the side, not only is this healthier than fast food, her family will also all be sitting together around a table instead of eating in a vehicle which is very important. I’m delighted to have found your site today, but I agree sugar is something I would never add to a meal. My field of study, my business and my passion is healthy living, and sugar is the #3 destroyer of good health (#1 tobacco, #2 alcohol). It’s easy enough to just eliminate the added sugar and the processed ingredients, such as ketchup…I have no problem squeezing fresh orange juice into a dish or a few drops of stevia, if sweetness is required. I haven’t used a crock pot, I generally prepare everything fresh, BUT recently I have FAR less time and will gladly, and gratefully, try out your suggestions! The Lemon Garlic chicken meets my criteria! Thank you so much! I love this idea! I am going to try making one recipe of each and see if we like them first. I think we will because they sound simple and delicious. And yes, your reader is correct. It crock pot bags must cleanup much easier as long as a hole doesn’t get into the bag itself! 🙂 I am going to have to find ketchup that agrees with me and I with it (as I cannot have HFCS along with a few other ingredients). You guys ROCK!! I have learned so much here today! Just clicked the link and now know what I’m looking for in the way of liners! A whole new world has opened up to me…thank you!! When I’m prepping crockpot freezer meals, I put the liner in the crock of the crockpot to hold it so it stays open. Add ingredients to the crockpot liner, twist and secure with a twist tie. Load the liner in a labeled freezer bag. This allows me to keep some ingredients separate from others if desired. I thaw in the fridge and then load the filled liner in the crockpot and come home to deliciousness! The liners need the protection of the freezer bag to hold up against the other frozen items in the freezer. Can I cook these directly from frozen? I would think you could but would recommend that if you do that, you check with a meat thermometer before serving to make sure that the internal temperature is high enough to be safe to eat. Thank you for sharing. I teach piano later into the evening, so I always like my older sons/husband to be able to eat before I get off of work. Crockpot meals are my best option, but I love variety. Some folks are going low glycemic, but for the average family, natural fruit sugars that are included are a great healthy option, and not unhealthy at all. Just wondering if you cook these in the oven if you cover with tin foil or not? Also if you had pictures of the finished product that would be awesome! My sister, my mom and I make freezer meals about every 2-3 months….we made 36 meals today and used 2 of these recipes, thanks! I hope they turn out yummy! To Angela, if you get back to this website, what other meals did you make for the freezer, you listed 36 meals made.. I would love to learn more ideas to make some for my parents’ freezer. Thanks if you can. Have you made any of these recipes with bone in chicken? If so, thoughts on how the taste compared and how the cooking times changed? Thanks bunches- these sound delicious! I’ve never tried them with bone-in chicken as my kids aren’t fans of anything that reminds them that the chicken used to be, well, a chicken! I’m not sure how to adjust the times for that but I think Google would have an answer for you on how to adjust the cooking time. If you try it, please let me know how it turns out. Do you usually serve these over rice? on bread as sandwiches? over noodles? I often serve them with rice or potatoes and vegetables or a salad on the side. Some of the saucier ones (like the Chicken Hurry) we like to serve with rice because the sauce is great on rice. Trader Joe’s has a great frozen, organic brown rice that cooks in 3-minutes in the microwave! Good suggestion of using liners! Recipes sound good, looking forward to trying them out. When placing in the crockpot, do you let the bag of ingredients thaw out first or put it in frozen? Love the recipes, thanks so much ! Paula, You thaw the bags prior to dumping the ingredients into the crock pot. Do these come out better in the oven or crock pot? I find that they are more moist when cooked in the oven but usually end up making them in the crock pot just for convenience sake. On thawing, I’d suggest popping the flat, frozen slab out of the bag first, and thawing in the pan you’ll cook in; won’t lose any good sauce that way! And I have cooked frozen meals in the crock pot/slow cooker easily. Over 4-6 hours, it makes little difference. Have you ever (and/or can you) put potatoes to the crockpot with the chicken? I have never done it, but I know there are slow cooker recipes for roasts and such where the potatoes and carrots go straight in there with the meat, so I would think you could. I’m gone longer than 4-6 hrs during the day. Would I be able to put everything in frozen and cook on low 6 or 7 hrs? Thanks for the tip Veronica! Wonderful idea; I am always scrubbing the slow cooker. I am definitely going to use these recipes. Thanks. Hi! When you say pop it in the oven at 350, do you mean just throw it in a baking dish? Do you need it covered or anything? Thanks! Yes, pour it from the bag into a baking dish and then put it into a preheated 350° oven. I keep them covered because then there is more sauce as it doesn’t evaporate. Hope that helps! How many people do these recipes feed? I’ve got 5 kids and 3 of them are teen age boys! Do I need to double the recipes? If your boys eat as much as mine do, I would suggest that you double the recipes! You can always use the leftover chicken to make soup and stretch it further into another meal. I have used the slow cooker liners and LOVE them. They are perfect for any recipe that does not require stirring. Stirring can create tears and then the purpose for the liners is defeated. Thanks for the recipes! Once you thaw out the bag to put in the crockpot do you find that there extra liquid from thawing the chicken? Lynn, I don’t find that there is too much liquid even once thawed. One more quick question and forgive me if its been asked or I missed it somewhere. Each recipe makes 1 bag correct? Yes, each recipe makes one bag. The Sticky Chicken doesn’t have crock pot instructions only for the oven. It can still be thrown in crock rights? I’ve never put the Sticky Chicken in the oven and the sauce it has is thicker than the others so I would suggest adding maybe a few Tbsp. of water if you’re going to cook it in the crock pot just so that it doesn’t dry out. Do you thaw them before cooking? Do the ingredients above make enough for 2 bags each? Or is that enough for one bag & we can double the recipe to get 2 bags? Thanks! Nevermind, I just found the answer above! Wow! You rocked my monthly scrapbooking dinner tonight with the Caribbean chicken and Lemon and Garlic chicken. I pulled out my 2 crock pots Friday night and dumped in 8 boneless, skinless chicken thighs into each. Then I dumped in the rest of the ingredients and put them in the fridge. In the morning I took them out of the fridge and transported them to scrapbooking. I turned them on around 11 and boy did the room start smelling wonderful in about 2 hours! By 4:30, all the ladies were in heaven! Both dishes were absolutely wonderful!! I will be trying the other 3 recipes very soon! Do you have any suggestions as a substitute for the soy sauce. I have a lady in my scrapbooking group who is allergic to soy! I love crock pot liners!! They are the only way to go! I’m so glad to hear this! Before our last two kids joined our family, I used to go on regular scrapbook retreats. I miss it. I’ll research the soy sauce substitute and get back to you as soon as I find out. I have something in mind but since it’s an allergy, I want to research it a bit and be certain. Coconut aminos is a great substitute for soy sauce. Amazon and Vitacost both carry it if you aren’t able to find it at your local store. For anyone concerned about the amount of sugar used in these recipes, homemade ketchup is simple enough to make, and honey can be used as the sweetener in it, which would eliminate the HFC you would normally find in store bought ketchup. The recipe that calls for brown sugar would probably work fine if you substitute coconut sugar. Thank you for the tips Judy! is it ok to thaw frozen chicken for these, then add ingredients, and freeze once more? They all sound amazing. If you’re going to use frozen chicken, I would recommend assembling with the other ingredients while the chicken is still frozen so that you aren’t thawing and re-freezing it. Just put the frozen chicken in each bag and add the rest of the ingredients. I’ve made two of these so far and will be making the other 8 over the next two weeks. The Hurry Chicken was quite good while the Sticky Chicken was pretty bland. I would recommend adding 1 tsp of Salt, 2 Tb of Sriracha and serve the dish with a sprinkling of chopped Cilantro and a wedge of Lime to squeeze on top. I made versions of my “No Stir” risotto to serve along side. For the side served with the Sticky Chicken I used Rice Vinegar to give it a sushi rice taste and folded in shredded carrots since this dish seems to be going for a Thai/Vietnamese profile. Here is the Sticky Chicken along with the risotto recipe variation I used. Here is the Chicken Hurry along with the risotto I made for it. Both have pictures of the plated serving. My 12 year old daughter made 2 each of the 10 recipes for her aging grandparents this past week and filled their freezer with easy meals. We used chicken thighs in all the bags and have cooked all in the oven 45 minutes or so after thawing. Favorites so far are Cindy’s chicken and Lemon Mustard chicken. THANK YOU! Such a blessing to find these recipes! I’m so glad to hear that you liked them! What a wonderful gift for your daughter to make for her grandparents! Hello~ Thank you so much for the easy recipes and directions! Can’t wait to try! I tried reading through most of the comments to see if someone else asked this and didn’t find the question so I apologize in advance if it was previously asked and answered! I was wondering by any chance if you have the grocery lists for these recipes? Also for the other chicken dump recipes you have the link to?? If not I am sure it won’t be so hard to go through and do it but if it’s already done this will be that much easier! Thank you! Jennifer, I actually have an ebook coming out this weekend that will have grocery lists for both sets of recipes as well as for the 3 other sets of recipes that are exclusive to the ebook. It also includes printable labels for all the recipes. I hope you’ll check back then! Absolutely!! Sounds great! Will you post the link to that ebook here? (how much??) Thank you!! Jennifer, the book is now available. You can find it at https://thechaosandtheclutter.com/my-books/chicken-dump-recipes/ or there are a few links in the post above. It’s $7 and includes 5 plans of 5 recipes each, printable grocery lists and printable labels. Chicken Hurry was delicious! Thanks! Have you tried canning these recipes instead of freezing? They sound really wonderful, but my freezer is quite full. I would appreciate any feed back you can give me on this. I actually have no experience with canning anything so I have no idea but perhaps one of my other readers will be able to help you out with your question. Hello! Do you always leave the chicken breasts whole once the meal is done? would LOVE to see the finished product of how to serve it or what it looks like when it’s done. Do you have finished pics in the ebook? I almost always leave the chicken breasts whole except for the few recipes (in the book) that call for shredding them. I’ve had several people express interest in seeing pictures of the recipes once they are cooked so I will be taking some the next time I cook one but that will be a few weeks yet. We are on a huge road trip at the moment so no cooking is happening here! I am looking to make some freezer meals for my mom and her husband. They cannot use the stove or oven so I was wondering if it is possible to cook the meals for them and then freeze them. That way all they would have to do is thaw and warm in microwave. 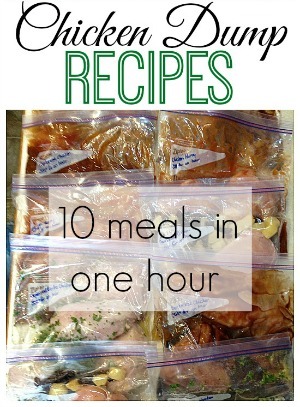 You can absolutely cook the meals first and then freeze them for reheating. I’d suggest if you’re cooking them for just two people, that you divide them into smaller portions. Alternatively, they could cook the meals themselves in the crock pot, but I do think for this situation, your idea of cooking the meals ahead and freezing them would work best. I’m sure this gift will really help them. That is such a nice thing to do Karen! If you can cook the meals for them in a weekly basis you don’t need to freeze them, just stock them in the fridge. It will be easier/faster for them to reheat in the microwave. If you have to freeze them try to make the frozen bags as flat as possible, so they thaw easier/quicker than they would if it was a big frozen chunk of food. Let us know how it went! I can’t believe the stupid questions being asked! Common sense people!!! Is it okay to cook food inside those plastics? And will it stick to the oven? I am rather primitive in this era.. ._. Instead of cooking it inside the plastic bag, you should “dupm” the thawed ingredients inside the “crock pot” or “slow cooker” but not the oven. It’s great that you are learning new ways to cook! Can you elaborate on your thawing procedure? How long is enough, etc? Do you pull it out of the freezer the night before? I have cooked frozen breasts in the Crock pot but it takes all day. I wonder if you just added the entirety of the freezer bad frozen and double the cooking time if that would suffice. can’t wait to try some of these but I am also wondering about how long it takes to thaw?? just pull it out of the freezer the night before u want to make it?? I either pull them out 2 days before or if I do it the night before, I put the bag in a bowl of water in the fridge. They aren’t always completely thawed, but I worry about my crockpot cracking if I have a frozen chunk and a warming/hot crockpot. The hot/cold combination could crack the crock. When you say to put the Chicken Dump ingredients in a crock pot, do they need additional liquid? I’m just clarifying, but you mentioned using MSG/Gluten Free onion soup mix and posted a link in one of your first recipes. However, the link went to an Amazon page for Chef Swagger’s Kitchen soup mix and “Hydrolyzed Soy Protein” and “Natural Flavoring” are both listed on the label of ingredients – both of those ARE MSG. Just fyi… Maybe I’m missing something, but just be aware, just because a label doesn’t say MSG or Monosodium Glutamate, doesn’t mean it isn’t there. There are well over 90 different names for MSG so if you’re trying to avoid it, I would recommend making your own soup mix 🙂 I get my recipe from Heavenly Homemakers blog. Do you think I could use pork tenderloin instead of chicken? I have never in my life met any Caribbean person who has made what you’re calling Caribbean chicken. I’ve also never seen it on any Caribbean restaurant menu. We make curry chicken with yellow curry and we make stewed chicken. Not to be confused with chicken stew. Thanks for the chicken recipes! I have a few recipes like this, but it’s always nice to have more. Love these! I’m a huge fan of freezer meals. 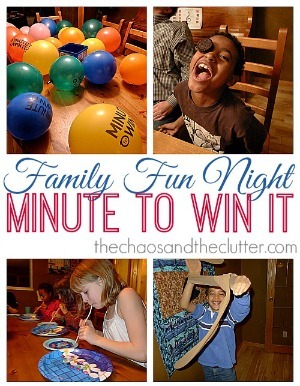 Thanks for sharing with the Frugal Family linky! Thank you for sharing on last week’s Frugal Family Linky. 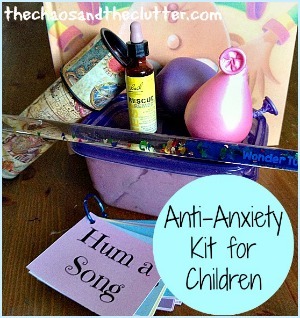 Your post has been featured on this weeks Frugal Family Linky via Witty Hoots. Hope to see you sharing again soon and do pop back to grab your ‘I’ve Been Featured’ badge too! I have found these are good to have on hand when I’m not going to be home at dinner time and the crock pot won’t work. Hubby can dump it in a pan and turn the oven on. Thanks for posting. 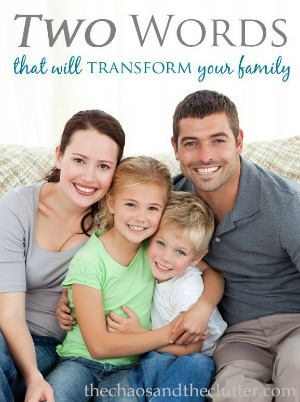 Hello from Frugal Family Linky. I love this idea! I have always been a little intimidated by freezer cooking, but I can handle this! Hi there! 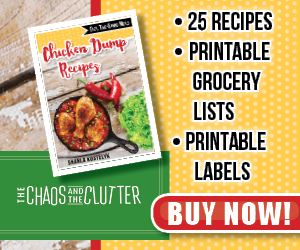 I was just curious if your Chicken Dump and Beef Dump Recipe books have a kindle version? I briefly looked but didn’t see anything. Thanks so much, all of these recipes sound awesome! The formatting for the Kindle versions is being worked on right now as a matter of fact! They should both be available on Kindle soon and will also be available on CreateSpace (paperback). Thanks for asking! Do you use raw chicken and combine all the ingredients prior to freezing? Or do you cook the chicken and then put all of the ingredients together before freezing? Diane, you add the chicken to the bags raw. Im going through repinning last year’s best posts and I’m also pinning this to my personal must-do board.. I’ve got to do this! Thanks for such a great post. Hi! So, I buy Chicken breasts in bulk (single breasts) and they’re huge. Almost a lb each. Is that the size of the chicken breasts that you’re using? I usually use a TOTAL of about 2 or 2 1/2 lbs. of chicken per recipe so I would say the ones you are using are much larger than what I use. Hope that helps! I would be putting 3 chicken breast in each bag. does that mean I split the other ingredients in half to get 2 dinners of each, or I have to double the ingredients? Thank you for all these recipes. If you are making two bags, you will be doubling the ingredients. Happy cooking! I am planning to do a few of these recipes for my Mom. She is almost totally blind and has a hard time cooking. But these appear to be things that we (my brothers & I, plus her in home helper) could set up in advance and she would still feel like she is making her own meals. Since her independence is very important to her, these seem like these will please her. That sounds like a great idea! I hope it goes well for you. I have read your comments. 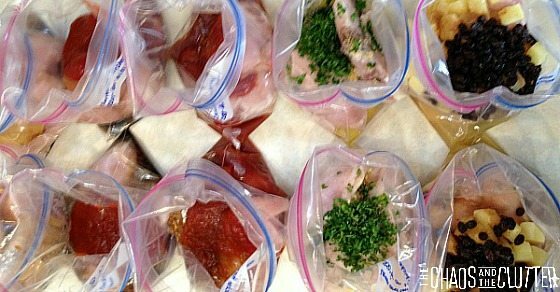 Do you cook the chicken first and cut the breast and then put in the bag to freeze? Love this info, yesterday I made mine, thanks so much!!! So far I’ve tried the sticky chicken and the hurry chicken and the cantonese chicken is in the crock pot as I type. Smells delicious. I use a whole chicken cut into 8 with bones in and it works fine. The whole family loves these recipes, and they’re super easy, and easy to manipulate to personal preferences. I’m so glad to hear that you are enjoying them! What is the best way to buy all this chicken? I usually buy a pack of 3 full chicken breasts from the grocery store, but that is really going to add up with these recipes. Should I buy several of the “family packs” at Kroger? Are there better stores to try like Aldi, or Gordon Food Service (we don’t have a Costco or Sam’s Club in town). Thanks for your help! Hey Natalie. I’m hoping that someone else will chime in with an answer for you because I’m not going to be much help on this one. I live in Canada so we don’t have Aldi’s, Kroger or Gordon Food Service where I am. We have a few grocery stores here that are probably similar. On the first Tuesday of every month, the stores offer 15% off groceries so I buy family packs then. I also look for sales. Sometimes they have large boxes that are buy one, get one free and I stock up. We do have a Costco and I do sometimes buy the chicken from there (I compare prices), especially if I’m using chicken thighs. I’m hoping one of my American readers can pop in and give you some suggestions specific to the stores in your area. Can I split the chicken with both breasts and thighs. If so would you change the sauce ingredients at all? Yes, you can use both breasts and thighs and the sauce ingredients stay exactly the same. Great recipes! Just found you and pinned! I would like to start in morning before leaving for work so crockpot would be on for about 8.5 hours…..most recipes say 4-6 on low. Any suggestions? If I throw in frozen chicken breasts would this help add time to crockpot? Thank you for your help! Adding the chicken breasts frozen will require adding more time. It also depends on your crock pot. Older crock pots (more than say 15 years old) cook at much lower temperatures and so if you have an older crock pot, you can leave the recipes in there for 8 hours). If your crock pot has a “Keep Warm” button, the recipes can cook on that the whole time and cook for longer or you can find crock pots that have timers on them so you can set the thawing meal in it before you leave for work and it can start cooking at the right time. Hopefully one of these options will work for you. These are amazing, I love easy and tasty. I love cooking but a lot of times I’m so tired when I get home from work that the crockpot is the way to go (not to mention how nice the house smells when I come in). I also love the crockpot liners. I use them for everything. Especially the buffalo dip that is so nasty to clean up. Take care. Has anyone tried these in the instant pot? Love the post, but I wonder if you might suggest some sides that would go well with these chicken recipes, like the sticky chicken, etc. I am having a hard time finding soya sauce ….. my local food stores don’t carry it. Where did you find it? And thanks for posting these recipes! Can’t wait to try them. It’s also called soy sauce. Check the asian section of your local grocery store. Hope that helps! What is Soya sauce? Is that a brand of soy sauce? I have not heard of it so maybe it’s a regional thing. Same thing as soy sauce.